Workplace wellness refers to the education and activities that a worksite may do to promote healthy lifestyles for employees and their families. Examples of wellness initiatives include such things as health education classes, subsidized use of fitness facilities, internal policies that promote healthy behavior, and any other activities, policies or environmental changes that affect the health of employees. It affects your company’s bottom line in many ways. Namely, workplace wellness can lower health care costs, increase productivity, decrease absenteeism and raise employee morale. Because employees spend many of their waking hours at work, the workplace is an ideal setting to address health and wellness issues. 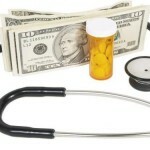 Wellness programs help control costs. Health care costs are a significant portion of a company’s budget, so strategically targeting this expense can significantly benefit an employer’s bottom line. An investment in your employees’ health may lower health care costs or slow the cost increases. Employees with more health risk factors, including being overweight, smoking and having diabetes, cost more to insure and pay more for health care than people with fewer risk factors. A wellness program can help employees with high risk factors make lifestyle changes to improve their quality of life and lower costs, while also helping employees with fewer risk factors remain healthy. Healthier employees are more productive. Research shows that workplaces with wellness programs have employees who are more productive at work. Healthier employees miss less work. Healthier employees mean fewer sick days, which is another benefit companies generally achieve through wellness programs. Plus, employees’ healthier behavior may translate into better family choices, so employees may also miss less work caring for ill family members. Reduced absenteeism can yield significant cost savings and return on your wellness investment. Wellness programs can reduce workers’ compensation and disability costs. Employees who make healthy changes and lower health risk factors often have a lower chance of a workplace injury or illness or a disability. In both cases, this can save the employer money, not just on insurance premiums and benefits paid out, but also the replacement cost of recruiting and training a new worker to replace one out of work for health reasons. Employees who experience these positive changes and benefits will often feel more loyalty to the company and grateful for the company’s commitment to their health.